It is fair to say that the Swiss rule when it comes to the luxury watch industry, with the majority of the world’s most revered and celebrated watchmakers heralding from the small, neutral territory. With this in mind, it is clear that watchmakers that aren’t in the Swiss old boy’s network need to be a little bit special to infiltrate this tight-knit group. Panerai is one strong example of a non-Swiss watch brand that has gained foothold in the Swiss luxury market and firmly established itself within the highly competitive industry. 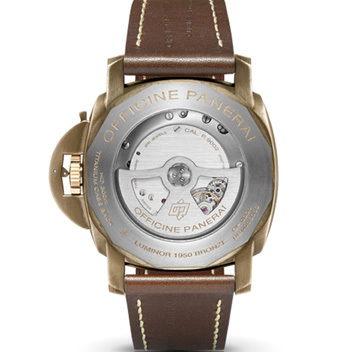 Founded in Florence, Italy, in 1860, Panerai has no shortage of watchmaking history, and in its 150+ years since its inception, it has been responsible for some of the boldest watches on the market. 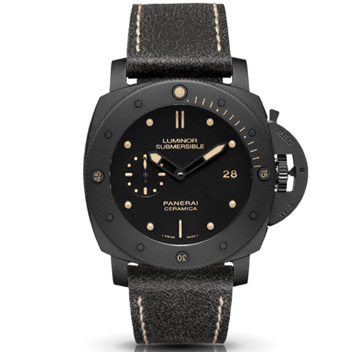 If you think that Panerai timepieces have a slight military feel to them then, good eye, because the brand has been a longstanding supplier of timepieces to the Italian Navy for decades, and, in fact, its Luminor and Radiomir collections were held under a military secrets act for many years before they found their way onto the consumer market. While Panerai is an Italian brand, when it was relaunched and brought to global market a coupld of decades ago, brand executives recognized the power of the Swiss-made timepiece. As such, they began creating Swiss-made movements for the Italian-designed watches. Today Panerai produces its timepieces in Switzerland because, truth be told, nobody does precision better than the Swiss. Thus, Panerai truly has the best of both worlds — boasting Italian luxury and style coupled with the unerring accuracy of a Swiss movement. 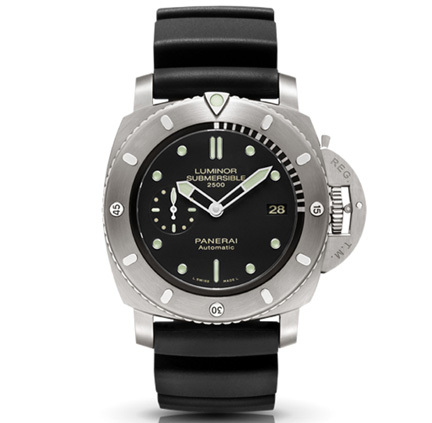 For those looking for the latest offerings from Panerai for 2013, the Luminor Submersible collection reigns. Three new models have particular appeal: the 1950 2500m 3 Day Automatic Titanio, the 1950 3 Day Power Reserve Automatic Bronzo, and, last but not least, the 1950 3 Day Automatic Ceramica. 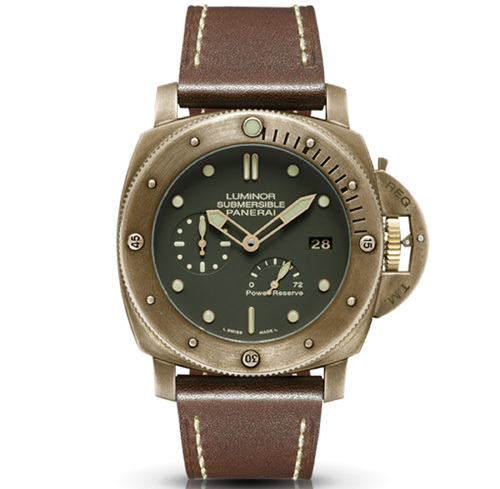 Panerai watches are particularly synonymous with the sea, and the nautically themed Panerai Luminor Submersible watch is definitely testament to this fact. It is rugged, durable and bold without compromising on the luxurious nature that is a must for any high-end timepiece. To see Panerai in a little more depth, with pieces just unveiled in January at the SIHH in Geneva, check out this video from The Watch Gallery. SIHH 2013 Panerai Review from The Watch Gallery on Vimeo.